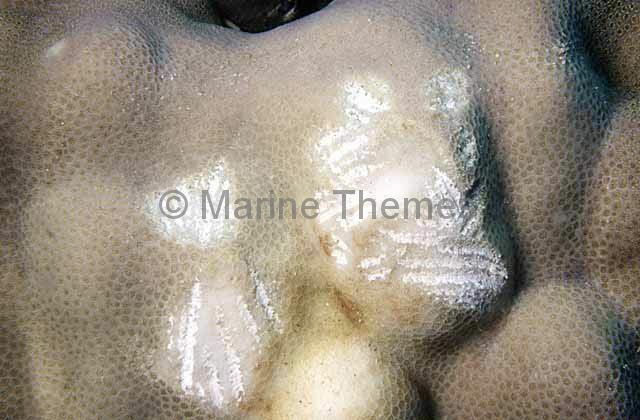 Bumphead Parrotfish (Bolbometapon muricatum) bite marks on coral. 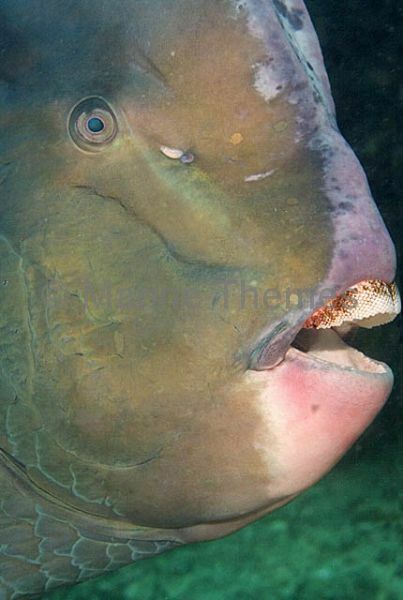 Bumphead Parrotfish (Bolbometapon muricatum) defecating over sand flats thereby adding to sand build up. 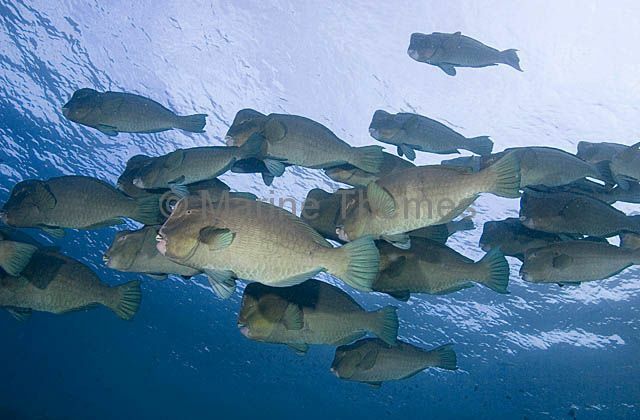 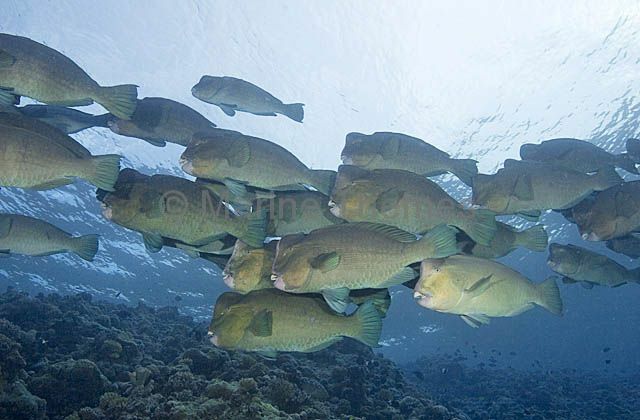 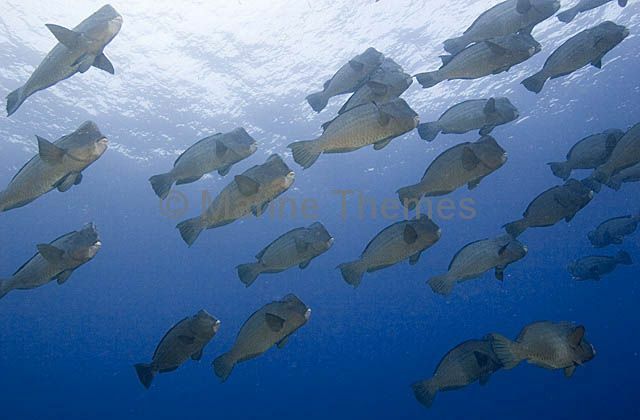 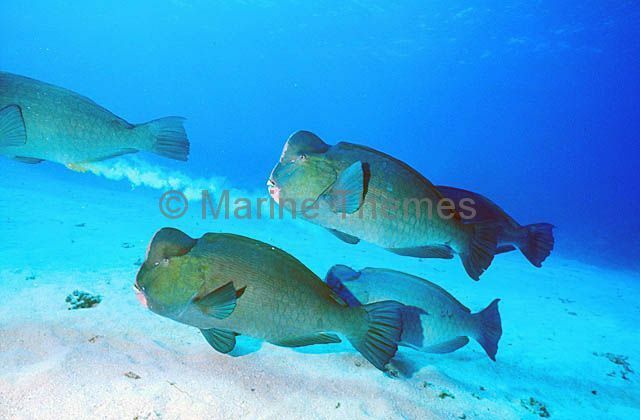 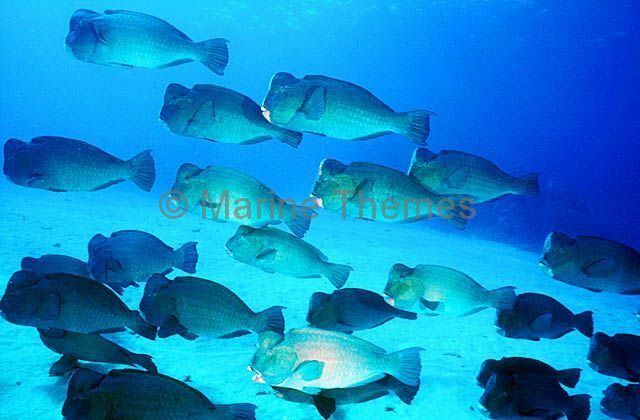 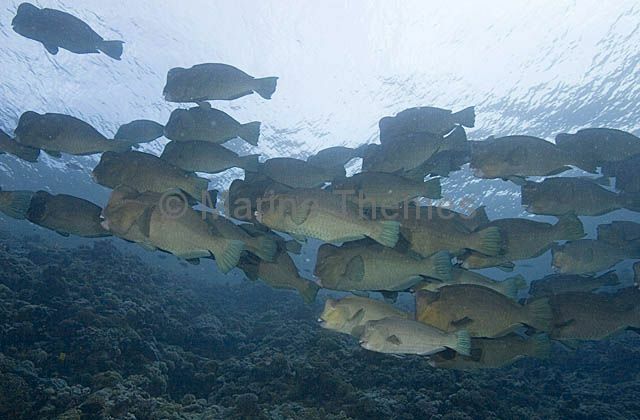 Bumphead Parrotfish (Bolbometapon muricatum) schooling over sand flats. 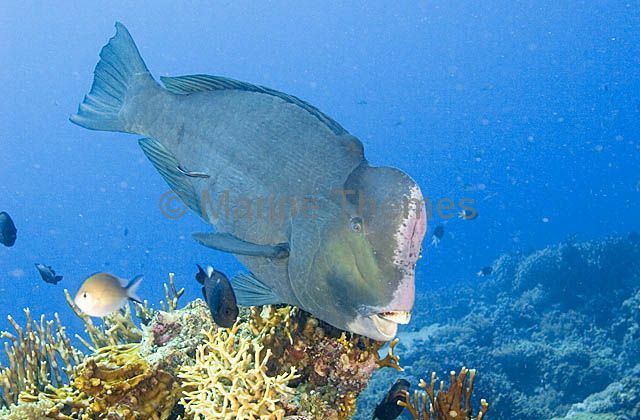 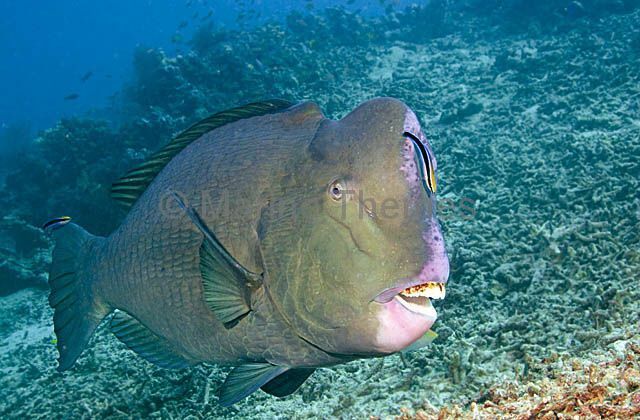 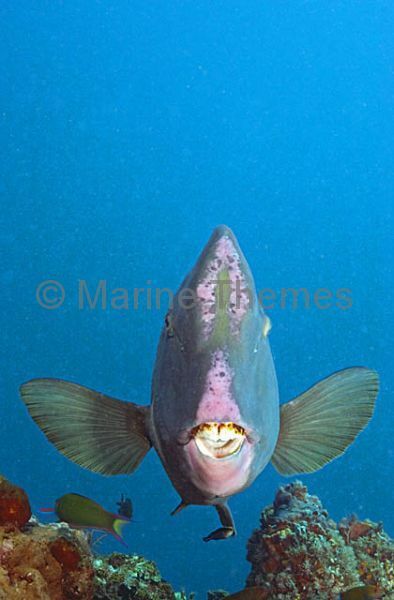 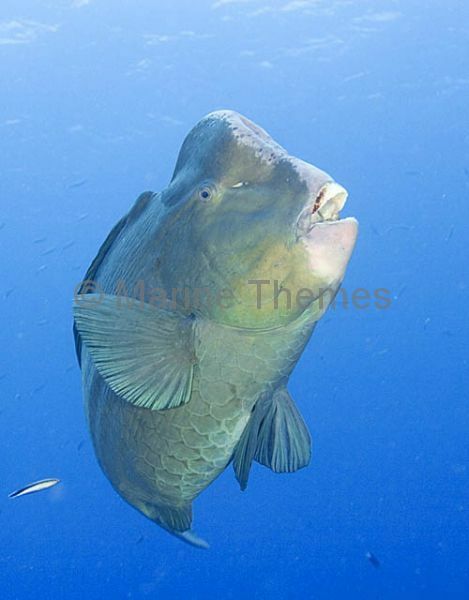 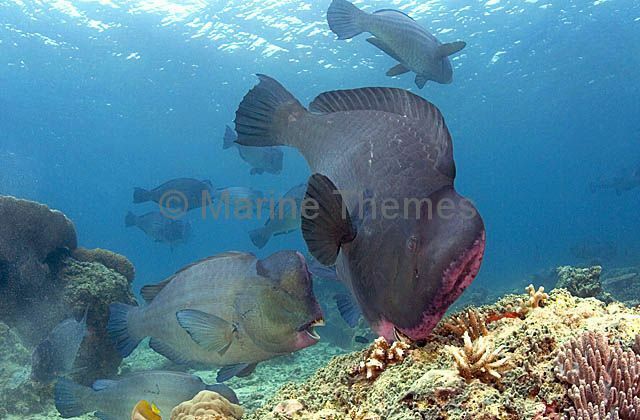 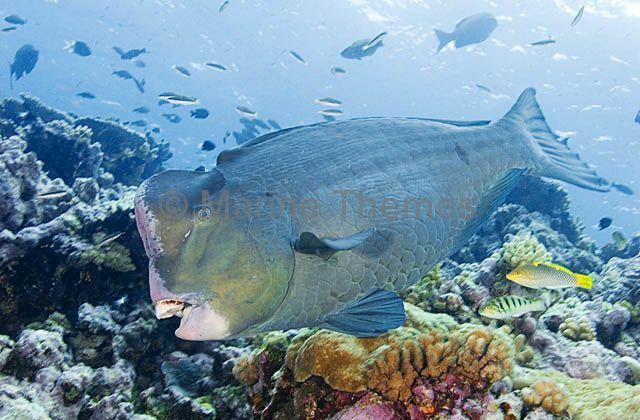 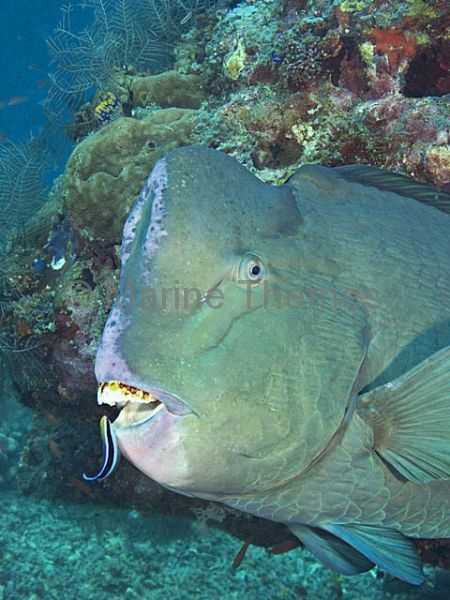 Bumphead Parrotfish (Bolbometapon muricatum) foraging over coral reef. 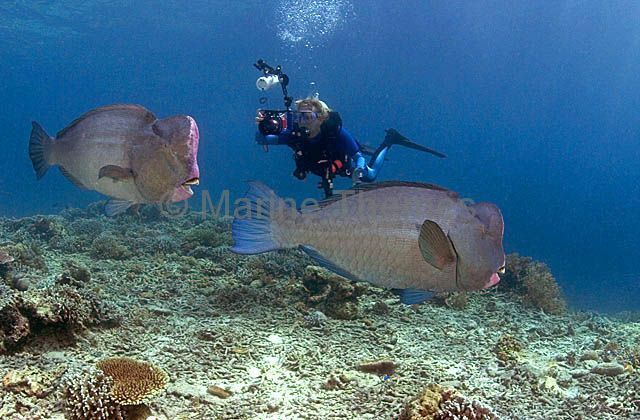 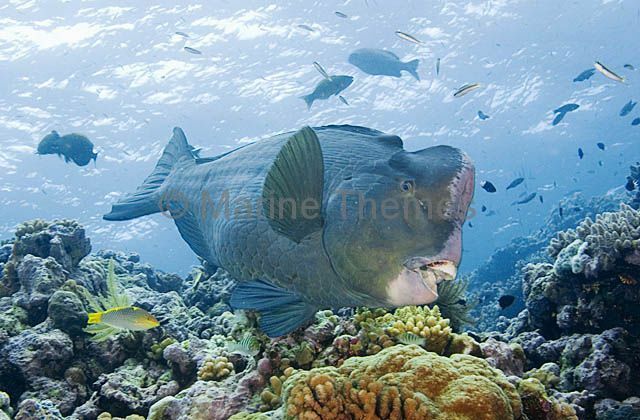 Bumphead Parrotfish (Bolbometapon muricatum) and diver swimming over coral rubble. 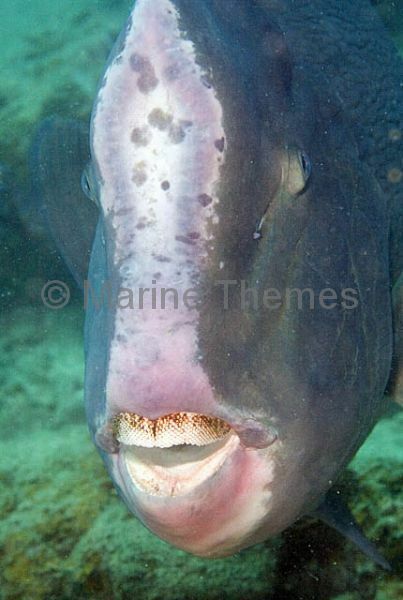 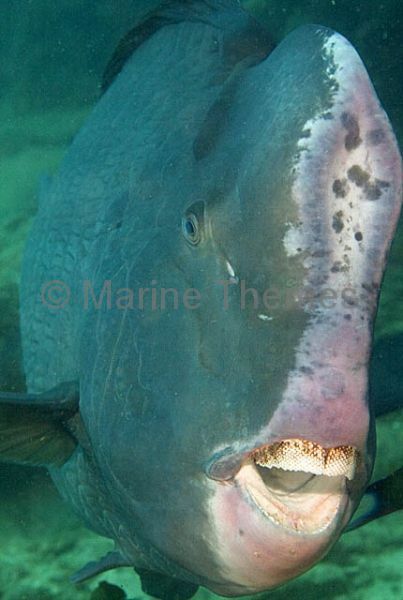 Bumphead Parrotfish (Bolbometapon muricatum) hovering over cleaner station on coral reef bommie. 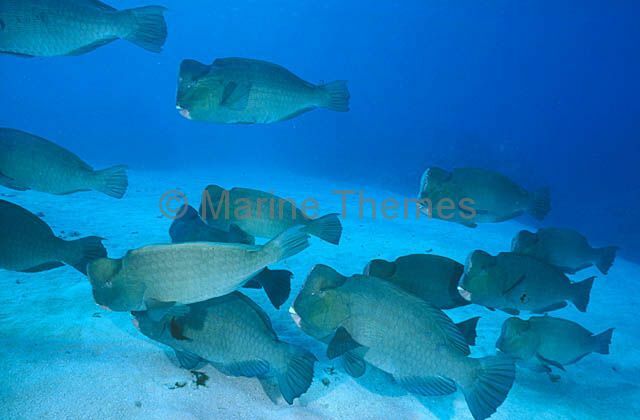 Green Humphead Parrotfish (Bolbometopon muricatum) schooling over coral reef.